Norman Fischer: Please tell us, if you will, how you became involved in practicing and teaching Buddhist meditation. S.N. Goenka: At first, I hesitated in getting into the Buddha’s teaching. 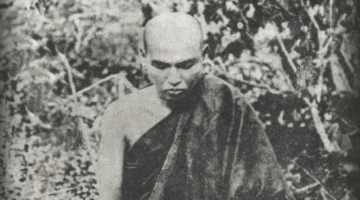 I was born and raised in Burma in a very staunch, conservative Hindu family. We were told from a very young age that the Buddha was wonderful because he was an incarnation of Vishnu. But his teaching was not considered good for us. However in 1955, at the age of 31, I started experiencing severe migraines and couldn’t get any help or relief. At that time, a very good friend—I have always been very grateful to him—said, “Go and take this ten-day meditation course.” I hesitated. If I became a Buddhist, what would happen to me? I wouldn’t believe in a soul, I wouldn’t believe in God. Then I would go to hell. No, this was not for me. “Well Goenka,” he replied,” I will teach you only sila, samadhi and panna. Nothing else. Just accept that. If you accept that, then come.” So I took the ten-day course and I found it good. The teachings of the Buddha were so complete, so pure. Norman Fischer: In my Zen practice and in other forms of Buddhist practice, there is a lot of ritual, and also clergy and hierarchy. Do you feel there’s any benefit or advantage for Buddhism in ritual? Norman Fischer: Can you please tell us about your course of instruction in vipassana—the details of it, how it goes, how you teach people? S.N. Goenka: Everyone who comes to the basic ten-day vipassana course must take five precepts, because morality is very important as a basis. New students, at least for those ten days, must observe these precepts very scrupulously. If one keeps on breaking sila, one cannot practice at all. After the ten days are completed, students are their own masters. If they find it is good for them to continue with the precepts, then they can do so. Older students take eight precepts. For the samadhi aspect of the program, we work with the respiration, the breath. We use the natural breath as it comes in and as it goes out, keeping attention to a limited area-the entrance of the nostrils. Then from the fourth day onward one is trained to observe the sensations throughout the body—pleasant, unpleasant or neutral—and understand their basic nature. Every sensation has the same nature: arising, passing away, arising, passing away. Understanding this impermanence, one maintains equanimity as much as possible. One doesn’t react, and not reacting starts changing the habit pattern at the deep level of the mind. Over time, one has built up and strengthened the blind habit pattern of reaction. Any pleasant experience-craving. Any unpleasant experience-aversion. This habit pattern has to be broken. It can be broken at the surface level, but the Buddha wanted to purify the totality of the mind, so we work at the deepest level. Norman Fischer: Do practitioners simply observe whatever sensations arise in the body, or do they go systematically through the different parts of the body? S.N. Goenka:We use a systematic approach. We want the students to reach the stage where they experience all kinds of sensations and experience them in every part of the body. If you work systematically, then the stage of experiencing all kinds of sensations throughout the body comes much earlier. Norman Fischer: Is this a guided meditation, in which you say, “Notice sensations at the top of the head, notice sensations here, notice there.”? S.N. Goenka: Yes, very much so, in the sense that the students remind themselves to keep on moving systematically. If they don’t notice any sensation, they stay for about a minute and then move on calmly. Whether some sensation crops up or nothing crops up, you keep moving. Norman Fischer: The sutras speak of many kinds of people with many different tendencies. Do you find that this technique works better for some kinds of people than others, or that some people can’t do it? S.N. Goenka: In my experience, I haven’t found a single person who has been unable to do it. 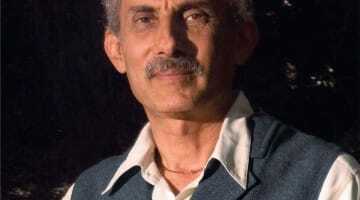 The most illiterate people from the villages in India, people who had never heard what Buddha taught, and people who are long-time devotees of Buddha-all get equal results. It’s so simple. When I ask them to observe the breath, they observe the breath. An illiterate person can also observe the breath. And they can take their attention to a particular part of the body. Why should there be any difficulty? Norman Fischer: You addressed the World Peace Summit at the United Nations. What is the relevance to world peace of a meditation technique, which seems like a very personal thing? S.N. 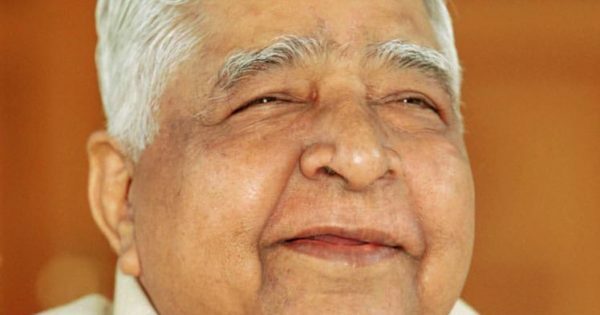 Goenka: We want peace in the entire human society, yet we don’t care whether there is peace in the mind of the individual. When we talk of human society, the human being matters most. And when we talk of peace, the mind matters most. So the mind of each individual matters most. Unless there is peace in the mind of the individual, how can there be peace in the society? There may be different techniques. We don’t say that this is the only way. For me it is the only way, but other religions say that they have another way for people to find peace and harmony. Very good, go ahead. But what I am teaching is universal. Anybody can practice it, from any religion or tradition, and they will get the same result. We have people coming to vipassana courses from every religion in the world, and they all get the same result. I don’t tell them, “Convert yourself from this religion to that religion.” My teacher never asked me to convert to a religion. The only conversion is from misery to happiness. Norman Fischer: The fact that there is no ritual makes it easier for people all over to join. S.N. Goenka: More than two thousand Christian priests and nuns have taken the meditation course. One nun, a mother superior who was over 75 years old, told me, “You are teaching Christianity in the name of Buddhism. I should have learned this technique fifty years ago.” Because there was no technique in her background. She had sermons on love and compassion for others, but they still left her asking how to actually practice love and compassion. With the vipassana technique you purify the mind at the root. Love comes naturally. You don’t have to make an effort to practice metta, loving-kindness. It just comes. Norman Fischer: So even though there is no conversion effort, others are nonetheless attracted to this practice? S.N. Goenka: People are attracted by the results of the practice that they see in others. When a person is angry, the influence of that anger makes everybody unhappy, including themself. You are the first victim of your own anger. This realization is another thing that attracted me to the Buddha’s teaching. In my early days, I believed that you lived a moral life in order not to disturb the peace and harmony of the society. In other words, as a Hindu I understood that one must live a life of morality to oblige society. Having practiced the meditation technique, now I know that when I live a life of sila I oblige myself first, not others. Others get obliged, which is good, but I am the first person to benefit. That is a wonderful difference in the Buddha’s teaching from any other teaching I know. Norman Fischer: I understand that you have a good friendship with His Holiness the Dalai Lama. Can you tell us how that developed, particularly since His Holiness’ tradition, with all its color and ritual, contrasts with your approach? S.N. Goenka: In the first year when I moved to India from Burma, there was a big public function put on by Dr. Babasaheb Ambedkar’s followers, who had become Buddhists. They invited me to their annual celebration of the day that Dr. Ambedkar converted to Buddhism. There were some one and a half million people in attendance. His Holiness the Dalai Lama was invited, along with me and the Japanese teacher Fuji Guruji. We were invited as chief guests, and each of us gave a speech. Mine was translated into Tibetan and His Holiness liked it so much that he said that he wanted to meet me and discuss things. “Nothing doing,” I replied. “For ten days, nothing doing.” And they said, “No, we can’t break our life-long vow.” So I sent word to the Dalai Lama, “Sir, I can’t teach. Your people don’t agree. 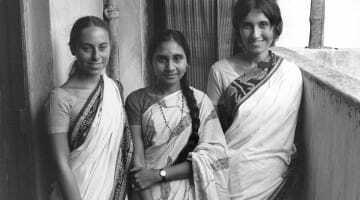 I’m sorry, I have to go.” And he sent word to the lamas through his private secretary, “You have to follow Goenka’s instructions, even if it means breaking your rules. Whatever he says, you must agree to do.” They all did it, and they got the same result. Rites or no rites, rituals or no rituals, the technique gives results. Normally I don’t go out during a course, but the Dalai Lama wanted to discuss how it was going, so I visited him two times. We had long discussions in detail about the technique I teach and about his technique also—without judging, just exploring with inquisitiveness. We each enjoyed our discussions tremendously. Since then we have been friends. I am not interested in any kind of politics. Of course I have great sympathy for whatever is happening to the Tibetan people, but I can’t take up that cause. It’s not part of my duty as a dharma teacher. Even the most undemocratic person, even the greatest tyrant, will be a good person if he practices. Just as Buddha was not interested in the politics of the different kings of his day, so that’s not my job either. His Holiness understands that very well. We are not political friends, but rather dharma friends. He did keep asking me about sunnata, emptiness. “You’ve got no sunnata?” he would ask. But after I explained my understanding of it, he accepted what I said: that when all solidity is dissolved in the technique, and there’s nothing but vibration remaining, that is sunnata. Then you experience something beyond mind and matter—sunna—nothing to hold there. You have sunna of the mind and matter sphere and sunna of the beyond mind and matter sphere. His Holiness seemed to be quite happy with that explanation. He had no objection. 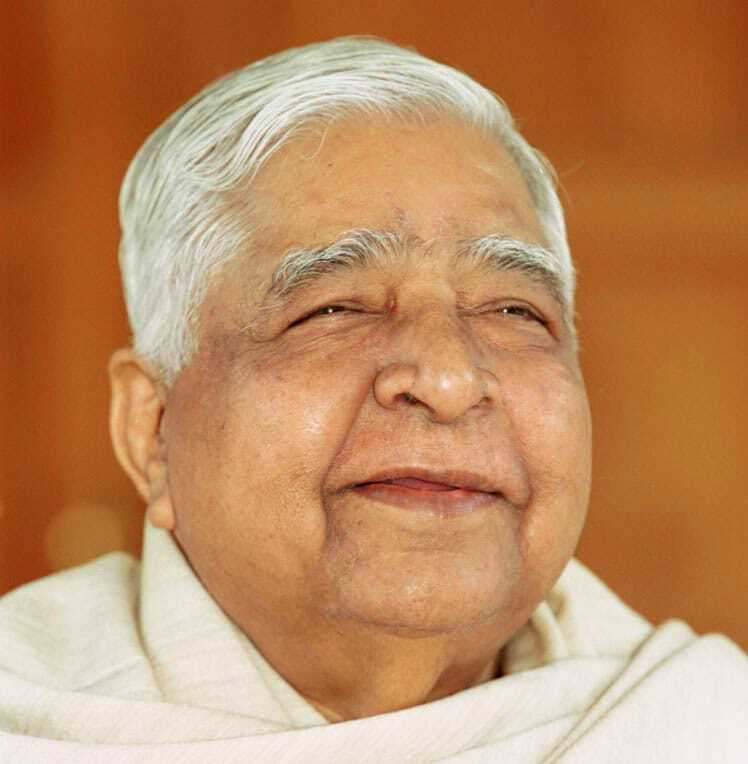 S. N. Goenka is a teacher of Vipassana meditation in the tradition of the late Sayagyi U Ba Khin of Burma (Myanmar).